Bring broth (or water) and butter to just boiling and add rosemary and cous cous. Stir, then cover and remove from heat. Let it sit, covered, for five minutes. In the mean time, bring a small saucepan with water to just below boiling and poach your egg. It takes about 3-4 minutes for whites to set. For poached egg tips, visit one of my previous poached egg posts here. Scoop 1 cup of cous cous into a small bowl and save the rest for another time (rosemary cous cous is a very versatile side dish!). 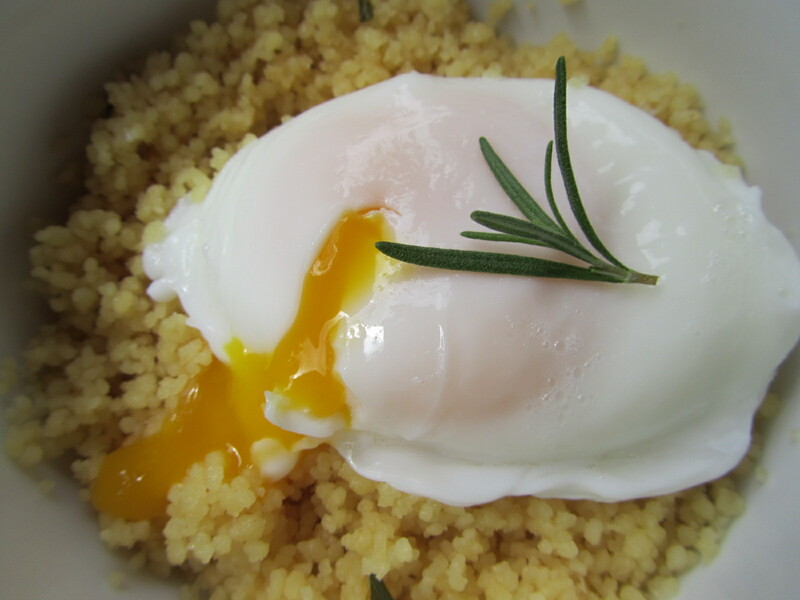 Slide poached egg on top of cous cous, salt and pepper to taste, and it’s time to eat! 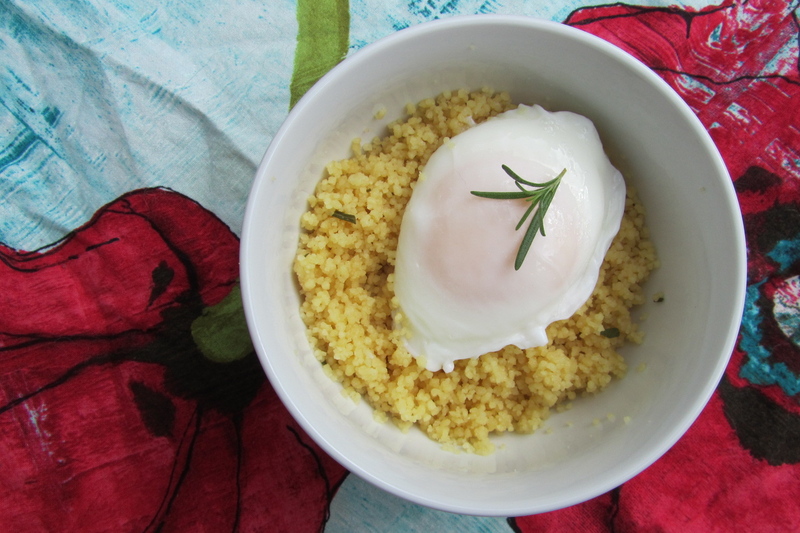 This entry was posted in appetizers, breakfast, sides, Sweet Life Laur Original, vegetarian and tagged breakfast, cous cous, poached egg, rosemary by Laura Zolnoski. Bookmark the permalink. Hi Erica! How did it turn out?